A lot of people still think they are supporting healthy gut bacteria by eating yogurt. But that couldn’t be further from the truth. Why? Bacteria in Yogurt is dead and useless. By law companies are required to homogenize and pasteurize yogurt, which destroys the live bacteria you need for a healthy gut. Not too mention all the sugar added to yogurt that in itself will destroy healthy gut bacteria. Buying a bottle of probiotic pills is another popular option. That can help, assuming you find a high quality product, but it’s only one piece of the probiotic puzzle. Find out why. 1. 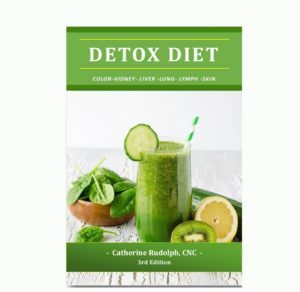 Cleanse and “unjunk” your digestive system with a detox. 2. 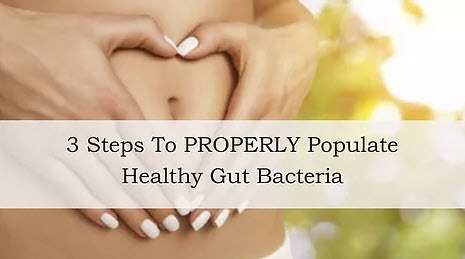 Populate healthy gut bacteria. And take probiotics AFTER you clean out your digestive system. 3. Feed your healthy bacteria. Include raw plant foods in your diet that FEED healthy gut bacteria. If your diet is primarily cooked and processed foods, any healthy gut bacteria you consume will die off. Tackle All Three is Just 21 Days!